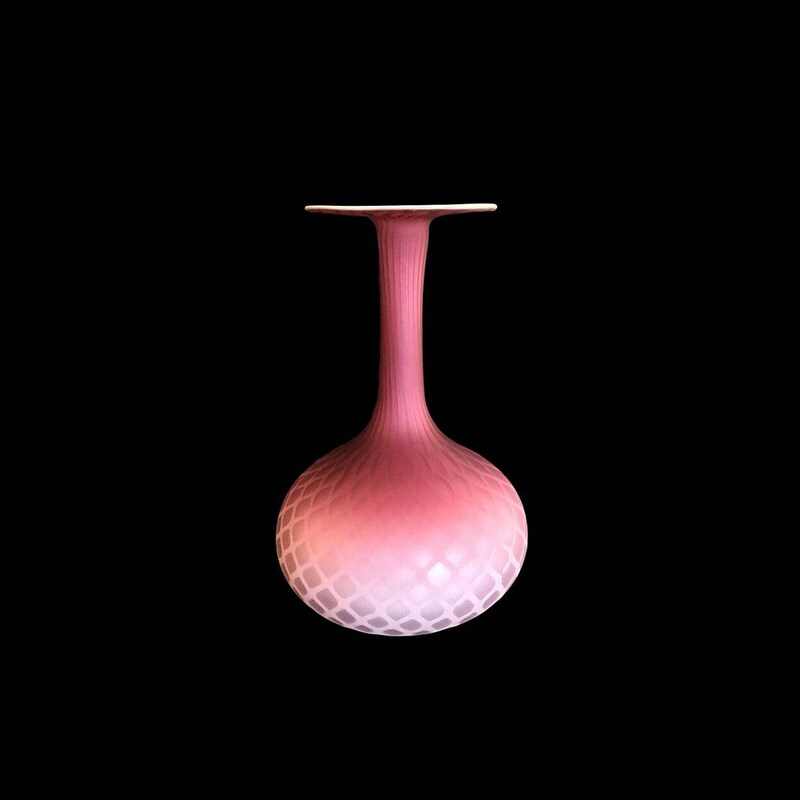 In addition to the original works of art glass being produced by the Murano masters in the mid-century period, the Italian glass industy was "inspired" by design trends that originated elsewhere and, in some cases, churning out direct replicas. New collectors of MOP/Satin/quilted glass remniscent of the Victorian period (e.g. Webb, Phoenix, Mt. Washington, etc.) unwittingly stocked up on the beautiful albeit Made In Italy MOP pieces that flooded the US markets. What I love about this vase is that, though most likely of Murano origin (I've plowed through every Victorian-age glass resource in the last decade I've owned this piece), it is a replica of NOTHING. It starts with the MOP/quilted satin glass motif, then says 'screw all those damn ruffles' and puts a modern flat-top on it. The perfect May-December marriage. 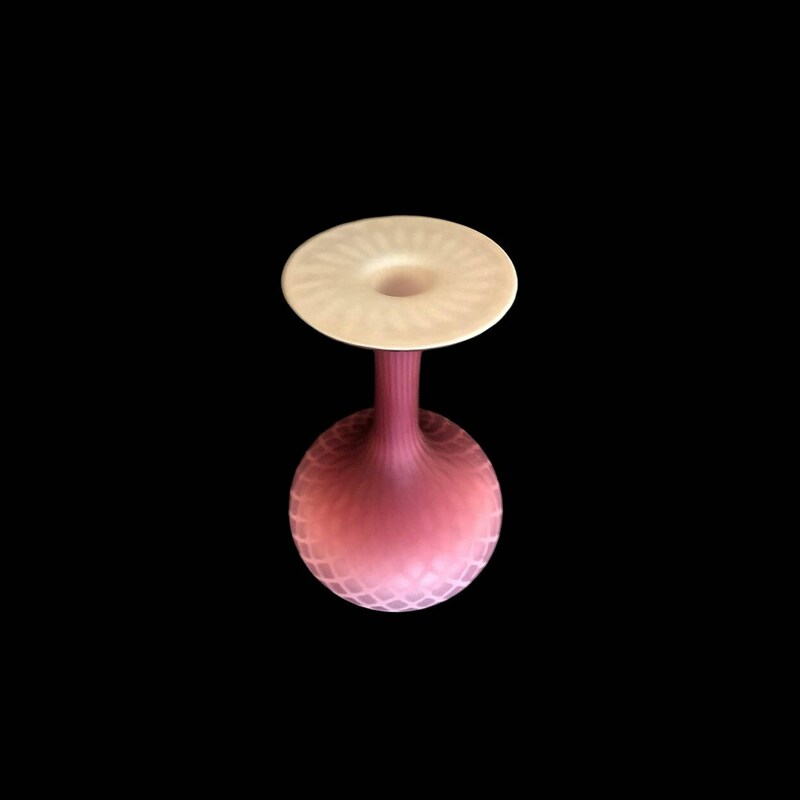 Also of note--this amazing vase is a rarity--I've been searching every glass resource available and the entire web and only saw another one like it ONCE. In Blue. This large spectacular piece is in near-mint condition--I can locate no flaws.